What is small scale? When talking about scale length we are referring to the string length from the saddle to the nut. Don’t confuse scale length with a smaller bodied guitar necessarily. Just because the scale length is smaller doesn’t mean the luthier has built a significantly smaller instrument (although that is sometimes the case as with mine). What is standard and are guitars getting smaller? Fifteen years ago I remember seeing 660mm guitars around but now I’d be hard pressed to even see one. The standard today has been 650mm for a number of years. However, I’ve started noticing, especially in the past five years an explosion of smaller scale guitars 640mm and less. Overall, I think this is a very good thing in terms of variety and making a connection between the guitar and people’s body type. People should be comfortable playing the instrument and not forced into a situation where they are struggling with the size of the instrument. Possible different sound, this can sometimes be good or bad depending. I think smaller bodied guitars tend to have a more focused sound. Up for debate. If you buy one thinking it will make you a better player you are likely mistaken. You might be a bit more comfortable though. There is a myth about the shorter string length diminishing power and projection (depends on design and our perception of what is loud vs what projects). I think this is generally not true. But it’s a consideration you’ll want to ask the specific luthier about. Some luthiers (not all of course) may not have perfected the design of their small scales since they mostly build 650mms. Easy to solve problem, just go with a builder that regularly builds small scale instruments. Featuring my characteristic powerful, refined and noble concert sound, Scott Short Scale guitars are true concert instruments designed to suit musicians with smaller hands. To achieve the optimal fit to the player, this model is available in a multitude of scale lengths 613.5mm and longer. This is from an interview I did with Marcus Dominelli. Bradford: What does scale or string length do to the sound? Marcus: I’ve found that scale length does not really alter the sound much, at least not with my own guitars, in the context of say 640, 650, or 660 scale lengths. If you go much shorter, for example to a 610, 620, or 630, you’re going to get some changes, but usually the size of the guitar body has been scaled down as well, so we’re now introducing other factors that affect the sound beyond just scale length. A longer scale length means a longer, heavier string. More tension will be required to bring this heavier string up to the same pitch as a lighter string. The stiffer tension will be felt by the player. I think this tactile change is a bigger difference than any tonal one. Conversely, a shorter scale will require less tension to reach the same pitch, and the string will feel more slack to the fingers. As a general rule, a 640 scale guitar strung with hard tension D’addarios will feel similar to a 650 scale strung with medium tensions. But as far as sound goes, the overall character of the woods, bracing, and other design elements, are far more important to creating the desired tone. Don’t let anyone tell you that a 640 scale will have dramatically less power or bass response than a 650 or a 660 scale length. I have a real affection for shorter scale guitars. Somewhere along the line some people have arrived at the assumption that a longer string will produce more power, and conversely that a shorter string will produce a smaller sound. Not necessarily true! In the 60s, 70s and 80s a lot of Spanish guitars had a 660mm string length and a lot of Ramirez’s had 665mm string length, presumably with the intention of making the guitar louder and more powerful. There are many beautiful sounding instrument with that kind of string length, but they are hard to play. Now the standard is 650mm. I think guitarists got tired of fighting with hard action instruments and wanted a more cooperative neck. A shorter string reduces the left hand reaches, and reduces the overall tension of the instrument, because the with the shorter length the string doesn’t have to be pulled as tight to reach pitch. Maybe this is counter intuitive , but this lower tension can actually allow the top of the guitar to move more freely, and actually produce more sound. In a 640mm instrument we take this just a little bit farther. The difference is slight, maybe imperceptible, but this difference can tip the scales of comfort for many people. There may be a general perception that a 640 is a “little” guitar, or under powered and weak, but this just isn’t necessarily so. Before trying it I was skeptical, but over the years some of the best guitars I’ve made have been 640 scale. There tends to be an added warmth, malleability of tone, and cooperative feeling in both right hand tone production and left hand facility. And there is no sacrifice of volume. I’ve never had anyone, including outstanding players, comment about any inadequacies in a 640 scale. They just don’t notice. In fact I’ve seen them in “blind tests” chosen above 650 scales many times. I was very hard-pressed to find cons or negative comments about shorter scale lengths from any reputable luthier or player. Let us not forget that instruments have been built with varied string length for centuries and that the modern guitar is but a child still. Nineteenth century guitars are tiny and they can project quite well. And besides, even if there is a change in the sound, is that a bad thing? When did being unique become a bad thing? Do you play a short scale guitar? Please leave a comment below letting me know about your experiences with shorter scale guitars. I play a Kenny Hill New World Player 628. I use high tension strings and the sound is amazing. It’s loud and vibrant. I would never be able to play a longer scale. What would I gain by struggling to stretch three frets? I am a 5’3″ woman with small hands. I struggled for a long time before acquiring my new guitar, between a 640 and a 650 mm, took informations, etc. Almost decided to go with a 640mm. But I far prefer to try guitars and wait to encounter one I fall in love with, so of course I ended up with a 650mm. But that guitar was comfortable for me, because she has a rather small body. The reason to go with 630-640 is that you really don’t need high tension strings. I think it’s a misconception. I intent to get a 630mm myself but these so called big name luthiers are prohibitive price wise. Some of the romantic guitars I heard have much shorter scale length with warm singing voices. To me, the Spanish tradition followers put me off somewhat. But to each to his/her own. I heard a pre-segovia hauser, it’s short scale and LOUD. Yes my short scale spruce classical comes from Spain by a famous company there and it is very loud. It is not the scale length for volume. It is the technique in making it, the inner bracings etc. I am female and 5 foot one and studied at a Conservatory for four years once. It suits me fine.The spruce has been played in and is even louder but with great tone. I believe that a longer scale length will give you more sustain however for a string of any given thckness,a longer scale string will have to be tensioned higher than the string at the shorter scale to reach the same pitch. In addition the longer scale will make the fret distances longer and players with short hands/fingers will have more difficulty reaching the frets that are more than two semitones apart. Thank you for your great post. I have been in search of a more comfortable guitar for many years. I initially looked for smaller scale guitars, but had a hard time finding one that was modestly priced. I decided to venture into the hybrid nylon guitar dimensions. A hybrid generally still has a 650mm scale length, but uses a 48mm nut width. This made a huge difference for me. But over the years with a hybrid, I realized that stretches were still a problem, and I was thinking the 48mm nut width was too tight in some situations where my fingers could dampen a neighboring resonating string. By chance, I discovered the Cordoba Dolce. It has a 630mm scale length and a 50mm nut width (verse a standard 52mm). I think if playing comfort is your goal, along with scale length, you should also look at nut width. The Cordoba Dolce, for me, seems to be this Goldilocks sized guitar. I cannot tell any difference in volume or bass output. I can tell a difference in string tension though. It seems I can really dig into these strings. I think that allows a greater variation in dynamics since I’m now varying power quite a bit when I dig into the strings. For me, I’m loving the tactile feel of a 630mm scale length. I encourage anyone who feels the classical guitar is uncomfortable to play to seek out different sized guitars. Classical guitars, compared to electrics and steel strings, are generally the largest guitars out there when looking at a combined scale length and nut width, so don’t feel bad about using a non-standard sized nylon guitar. When I started playing guitar, my journey began on steel strings. The scale length of those guitars never bothered me because of their low action, radiused fingerboard, and narrow nut. However, when I started playing classical guitar, I noticed they were much more difficult to play. The small frets, wide nut, high action, and flat fretboards made it feel like I was wrestling a beast. Most of the classicals I owned, I had them set with ultra low action because of this. Many teachers wondered why I did this. My logic was that if I can’t cleanly play a piece of music, then what’s the point in making the action higher, using higher tension strings or a longer scale length? It has gotten to the point where my preferred classicals are the ones that I can actually play! Recently, I have just obtained a New World Player 640S. The scale length fits my hand perfectly (I’m 5’8” and I have “child hands”). I really regret not trying them out sooner. I use hard tensions strings and the guitar sounds fantastic. Unfortunately, I really need a handmade, concert classical, and pre-built 640’s are extremely rare. 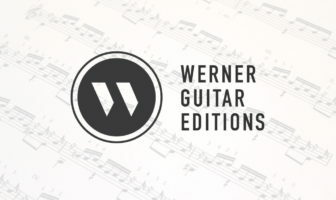 Considering that the classical guitar market is over saturated with luthiers, I’m going to have to have one built for me without hearing what it sounds like. For anyone who has a nagging feeling in the back of their mind about trying out short scale, don’t hesitate to do so. You won’t regret it. Cory I am in full agreement with your comments. The only reservation i have is that I do not wish to make a commitment to pay a few thousand dollars to a luthier – I do not know any luthier tht will make a short scale guitar priced under $3000. – without ever listening to the sound of the instrument. in the Torres tradition with hand-applied fan quality. All solid wood – Spruce Top with back and frame of hard maple with a Mahogany neck wide genuine wood marquetry inlays on headpiece of all places at a Goodwill Industries store. I paid all of $25. + sales tax. The scale length is 620mm and a Nut/Neck width of 45mm. In the Harmony Company Original Catalog description – the 1970 edition – this guitar was listed at a price of $135.00 Its playbility and sound after 44+ years is still better than any currently marketed non-luthier made short scale guitar I have played to this date. I’m a man with just average sized hands. Until a couple of months ago I only owned 1 guitar, a standard scale (25.5″) electric archtop. I never had any complaints about how it plays, and in fact I just completely rebuilt the guitar with new hardware, new electronics and a fresh and optimal setup. I recently purchased a second electric archtop to practice with at my office, and was amazed at the reduced playing effort compared to my first guitar, even with the same gauge strings, same low action and ideal neck relief. I finally realized yesterday (duh) that the second guitar is a short scale instrument, hence easier with both chorded and single-string playing. The issue is, I just spent a great deal of time, effort and money in modifying and improving the “main” guitar: Do I simply sell it and replace it with a short scale? Or continue to play both and in a sense become “ambi-scalular” (is there such a word?) Is it considered detrimental to keep switching between the two scales, or will playing both make me a better player? These are the issues I’m now grappling with. The other issue is that I’m mainly a sax player, and just dabble in jazz guitar (self-taught) so I’m still very much a student of guitar in that sense– Am I doing myself harm in this way…? Should I just “pick a scale and stick to it”? Ambi-scalular? ?, made perfect sense to me! I find that certain chords I want to use in my playing span four frets and for me, it’s serious finger gymnastics to grip those inversions. I play a 1978 M.G Contreras and I’m at the age where life is too short to play long scale guitars, I’m planning to have a 640mm made for me. I have little hands, I play an Asturias short scale. (Purchased from Classical Guitar 20 or so years ago) Cedar soundboard and Indian rosewood body. Apart from being easier for me to play, This guitar has such a punchy, resonant tone, which makes it very distinctive from any other guitar I have played. Maybe not as powerful as other guitars but very musical and fun to play. Can someone give me an example of what kind of stretches they find difficult on a 650 scale that are helped by smaller scale, such as the Kenny Hill smaller scale guitars, to help me assess my needs? I have studied off and on and am probably in grade 3-4 level in some areas, but not all. What repertoire pieces and passages, for example, are easier on smaller scale? I started on a 3/4 size in high school, not knowing it was such, and later played full size, except for crossovers with electronics like Cordoba GK Studio. 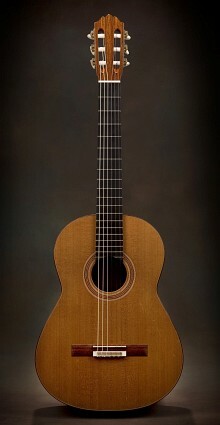 I would like to know if I should seriously look into smaller scale, or keep the guitar I have, an Alhambra 8C. My left hand span measures about 7 inches from tip of thumb to pinky, and about 5 inches from tip of index to pinky. Thanks for any comments! I wouldn’t say that stretches will be easier so much as more comfortable. For example the Weiss piece I play (https://youtu.be/sUUcSZSbvuk) has many stretches that are more comfortable on a small scale. I don’t think people will necessarily play better on a small scale but it might be slightly more comfy. I have been hunting a sweet sounding smaller scale smaller body guitar for a while. This article is awesome! Thanks for coming up with this with notes from good builders. I’ve been playing 650 scale classical guitars for years, but at 74 years old my arthritis began to create discomfort in my hands. A music store owner in Folsom, CA, suggested a 640 scale and found for me a Torres replica guitar made in Mexico by Francisco Navarro Garcia. I was suspicious that I would have to give up volume and perhaps tone quality. I was very wrong. It is the best guitar I have ever owned, and many audience comments have confirmed that. And it is easier to play. Perhaps it is the Torres design, the quality of craftsmanship, and/or the French polish, but going smaller certainly did not bring with it any disadvantages in volume or tonal quality. Kenny hill player 640 is amazing !!! !Previosly owned a 640 Kenny hill almeria.At 73 years old and arthritic hands my next guitar will be an even shorter scale Kenny hill Player. I play a Richard Prenkert 640 scale cutaway guitar that I just love! I’m a small, 61 year old woman, although my hands are medium size, and I find the smaller-scaled, somewhat smaller-bodied guitar much more comfortable to play than my previous guitar. My Prenkert guitar has plenty of power and the sound is warm and sweet, thanks to Richard’s amazing skills as a luthier. I’ve been playing a Douglass Scott 613.5 for 2 years now. I love it. I am a 72 years old man, and my whole body, not just my fingers, is less flexible than it once was. I very much agree with what you say about the comfort of the shorter scale and smaller body. The instrument just feels like it fits me. The Scott is a very fine guitar, and I don’t worry about projection or feel any need to compensate for its size. I played the Vivaldi d major concerto with a local chamber orchestra this past summer and held my own, although the voicing of the ensemble was reduced to avoid drowning me out. Thanks for affirming the wisdom of various size instruments for people of differing needs. Due to arthritis, I am keen to switch to a short scale (630 mm)classical guitar, and would prefer one with cutaway and pickup, but this combinations seems not to exist. Custom made (in Australia) is probably beyond my budget.